This coming spring the Conservation Program has an exciting new project that will be undertaken in some remote and underexplored sections of our California deserts to look for a federally endangered plant called Astragalus tricarinatus, or triple ribbed milkvetch as its known by its common name. This plant grows on an unusual geological substrate called “distressed granite” that is formed along the San Andreas Fault line where it bends and twists from its north/south trending direction to a more east to west trending direction in the Coachella Valley area. This Astragalus is a California endemic which means it is found nowhere else and is also considered a narrow endemic as its found in a relatively small area. The Conservation program had the great opportunity in the spring of 2011 to do surveys for Astragalus tricarinatus in the Whitewater and Mission Creek area where we visited many historic locations, found new undocumented populations, and collected a great deal of habitat information for this unusual plant, however a number of questions where left unanswered concerning some very old collections and literary references to this species being in other areas much more to the east. One of these curios historic records was left by a plant taxonomist named R. C. Barneby who was the leading expert on this genus in the 20th century. In his notes on Astragalus tricarinatus he wrote that it occurs in the Orocopia Mountains in Riverside County. 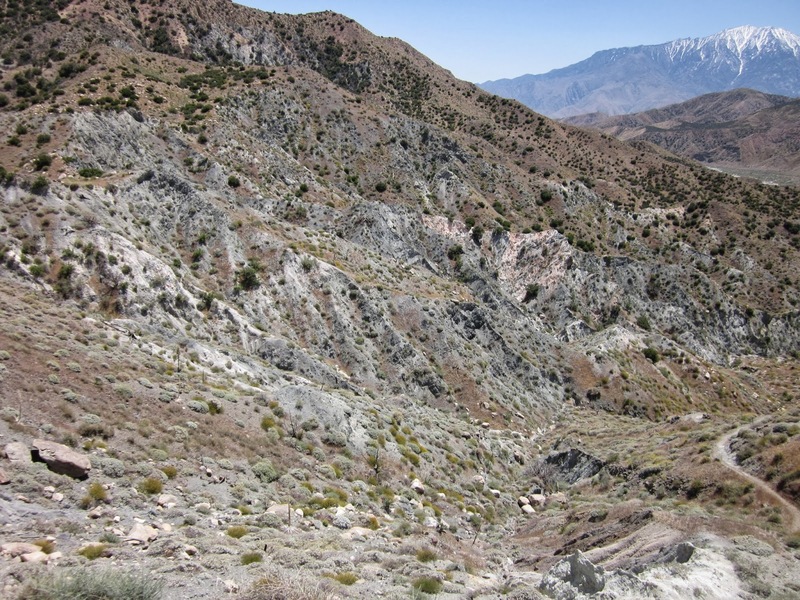 While the Orocopia Mountains are geologically quite diverse, and in the path of the San Andreas Fault, they are still around 40 miles further east than the general area where Astragalus tricarinatus is found. There was no physical specimen of A. tricarinatus that we could locate from this range so all we have is Barnaby’s word that it grows there. While Barneby’s expert knowledge holds a lot of weight it is also important to have a physical specimen in a herbarium that can be visited and studied and this is one of the main goals for this project we will be undertaking, to locate A. tricarinatus in the Orocopias, asses population status and population numbers and collect as much information on this endangered plant that we possibly can. One herbarium specimen we do have to go on, that has also been one of question, is a collection from 1921 from Mary Spencer that was apparently collected even further east in the Chuckwalla Mountains. The Chuckwalla Mountains are pretty far from the San Andreas Fault, and while they are made up of granite they don’t appear to have the “distressed granite” that Astragalus tricarinatus prefers. So this specimen brings up many more questions: can A . tricarinatus grow on other geological substrates besides “distressed granite”? There has been a good deal of visitation by botanists to this range in the past 100 years, so is it possible that at one time A. tricarinatus did occur here but no longer does? Was this perhaps a “waif” population? And while Mary Spencer wrote on her collection label “Chuckwalla Mountains” could she have been referring to a larger area that would also include the Orocopia Mountains? 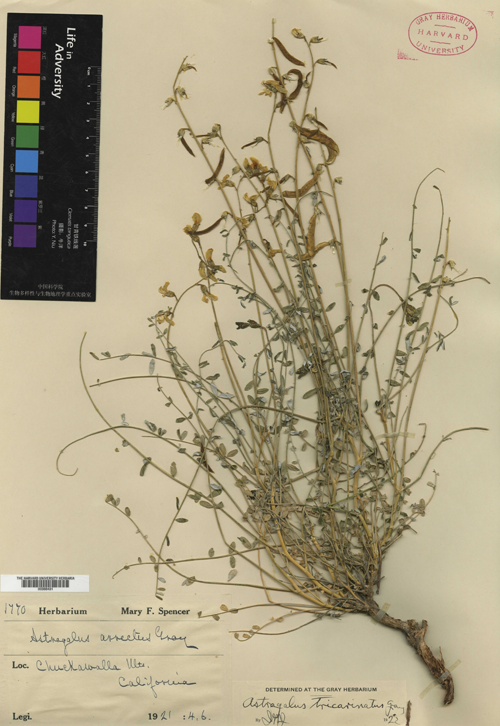 The only thing we know for sure right now is that the plant collected by Mary Spencer is definitely A. tricarinatus, we have this very important herbarium record that we can visit and reference, but the big question is: where exactly did she collect it? Perhaps she found the same population that R. C. Barnaby writes of. These are all questions we are hoping to answer this coming spring. In my mind, the sunflower may be the most iconic American plant. It’s a plant of summer, a plant of fall, a plant chewed on the ball field (and a healthier one than the other plant commonly chewed on the diamond, Nicotiana tabacum). My earliest gardening memories are of a sunflower; of planting a seed in a Dixie cup with my preschool class and watching it grow in my parent’s garden till it towered over my head. It was fitting that one of the first plants that I worked with at Rancho Santa Ana Botanic Garden (RSABG) was a sunflower. The Newhall Ranch Sunflower (Helianthus inexpectatus) wasn’t formally described until 2010, when David Keil and Mark Elvin published a description in Aliso, the scientific journal of RSABG. Before the description, there was some confusion about what this plant actually was. It was found at Newhall Ranch, an interesting and controversial piece of land just south of the grapevine along the I-5. When they were discovered, there was some confusion about the taxonomic identity of these plants. 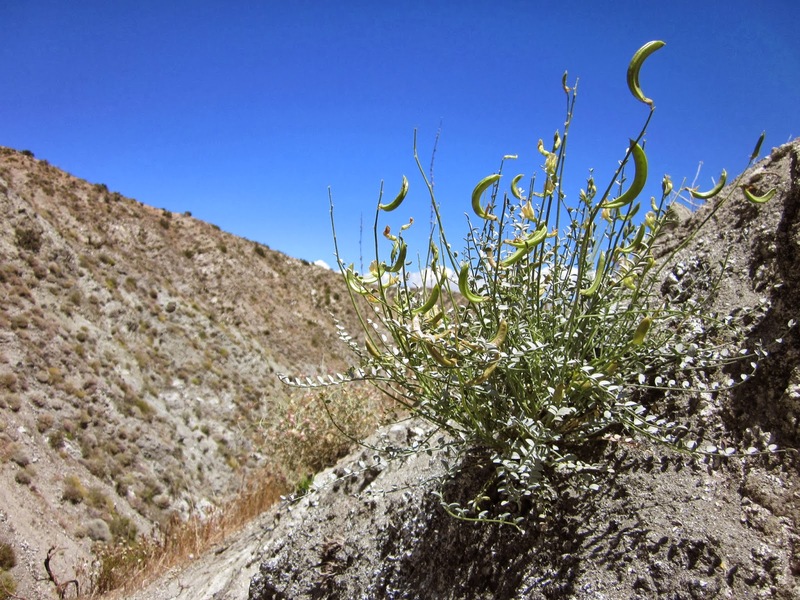 Based on pollen size, chromosome counts that differed from closely related species and other factors, the plants were described as an entirely new sunflower. Since the seeds came from such an unusual plant, we used a very small sample to test their viability. 30 seeds were sown, 17 of which germinated. This gave us our baseline of viability for the collection, and the added bonus of 17 tiny plants. In some of our tests, the plants which are produced inevitably end up being discarded, often in a spectacular display of fungal attack, but with these unusual seeds we knew that we wanted to grow them on. The plants were grown in small two inch pots for several weeks and were tended to with care by our talented nursery staff. Once they were large enough, we transferred them to raised beds, where we could grow them to maturity. Seed regeneration, also known as seed bulking, is the process of taking a small amount of seeds, growing plants from them, and collecting and storing the seed that those plants produce. The 17 plants that were produced during germination testing were used for this purpose. After a long summer of frequent watering and the occasional threat of insect attack, the plants flowered and began to set seed. We harvested seed over the course of approximately one month, collecting mature flower heads and storing them in a dry area in paper bags. Many of the seeds were found to be unfilled and non viable, but some were healthy and normal. Altogether we were able to harvest more than 2,500 viable and healthy seeds from the 30 seeds that we started with in our germination test. The seeds that we produced will be stored at the RSABG seed bank, and will be available to the botanical researchers and conservationists. Susanna Bixby Bryant, the founder of RSABG, envisioned an organization that would “…replenish the depleted supply of some of the states rarest plants.” Many years after she wrote those words, it is an honor to be continuing this work, methodically collecting, storing, growing, and regenerating our states rarest plants.